You will be greeted and shown to Dar Bennis by Hafid, the manager of Dar Bennis, who has been involved in restoration of houses in the Fes medina for several years. 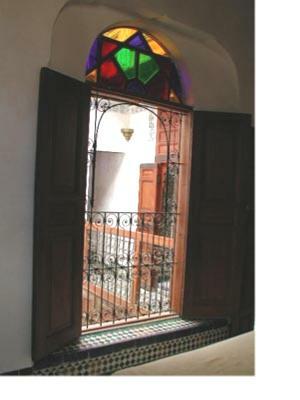 Both he and the owner, David Amster, are very happy to answer any questions you might have about the house, Fes, or restoration of the medina, and are always available via cell phone. Time permitting, David is happy to show you the restoration being done on his house, Dar Lebbar. The house has a local phone and 3G USB modem to connect to the Internet for those with a portable computer. Long-distance and cell-phone calls can be made by using a phone card, which Hafid can buy for you. Please note that to contact us during your stay you will need to use a phone card or call from a teleboutique. If you don't have a computer with you, there is a cybercafe near Dar Bennis. The house will be cleaned daily. Linen service is included; for other laundry, Hafid can take it to have it washed and ironed. There is also an iron and ironing board in the house. 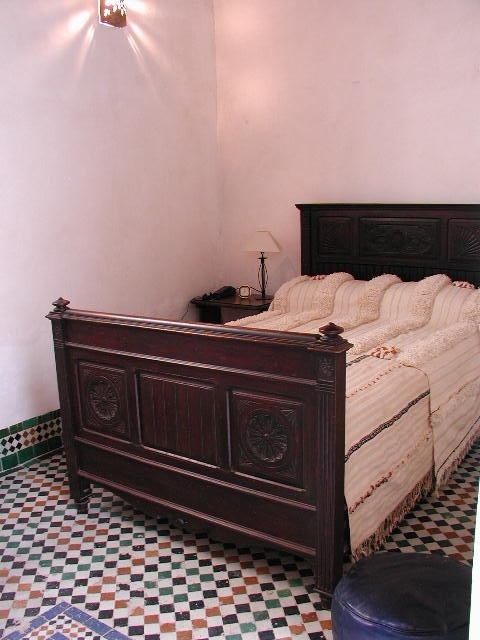 Moroccan houses are generally well-insulated and comfortable most of the year, but there are are convection space heaters and fans in each bedroom to keep you comfortable. You should be aware, however, that winters in Fes can be cold and rainy, and that there's no central heating in the house. It's best to bring warm winter clothes and to wear layers in winter. 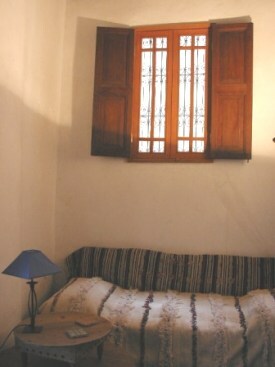 The cedar windows of Dar Bennis are traditional in design, but most have been fitted with double-pane glass for further insulation and to help keep down noise from children playing in the street. A Moroccan breakfast of fresh traditional breads and pastries is included. 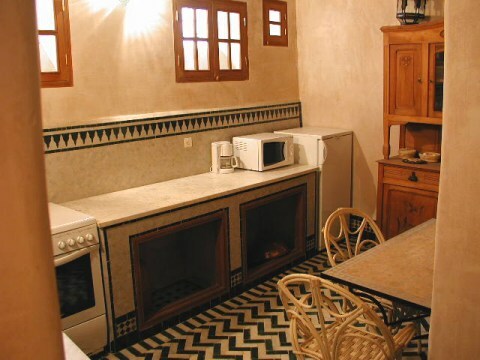 For other meals you can eat at one of the many restaurants in the medina or Ville Nouvelle, cook for yourself in the well-equipped kitchen, or have meals prepared by our cook, Layla, for a small fee. Layla can also teach you how to make traditional Moroccan dishes. Hafid is happy to buy you groceries in the souk, or else show you the nearest souks and bakery. We will meet you in "Batha", a convenient place to enter the medina, and your bags will be transported in a "carrousa" to Dar Bennis. You can get from and to the Fes airport in a "grand" taxi for 120-150 dirhams (~$15). 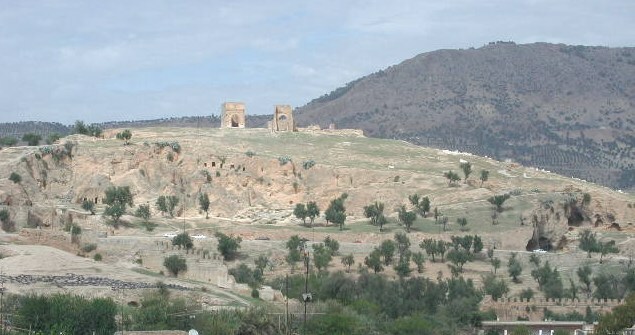 For day trips to Berber villages in the mountains, Meknes, or Roman Volubilis there is good public transportation, or we can recommend a driver with a grand taxi. You can ask Hafid to arrange this for you. If you bring your own car, there is an underground parking garage in the Batha area, near Hotel Batha. There are three bedrooms, two large rooms with double beds, and one smaller room with a single bed. Each room looks into the courtyard, but also has an outside window, which offers good light and ventilation. The mattresses and linens are of high quality, and the beds are covered with antique hendiras, hand-woven and embroidered shawls Berber mothers make for their daughters' wedding day. There's also a CD player (and a selection of Moroccan music) in the main bedroom, so feel free to bring your favorite CDs or cassettes. Traditional in design, but with all the modern conveniences. Plenty of dishes and high-quality cookware. You can dine here, in the courtyard, or on the terrace. Modern and comfortable, but still very Moroccan. Because the bathroom is downstairs, you may want to bring slippers and a bathrobe, at least in the winter. 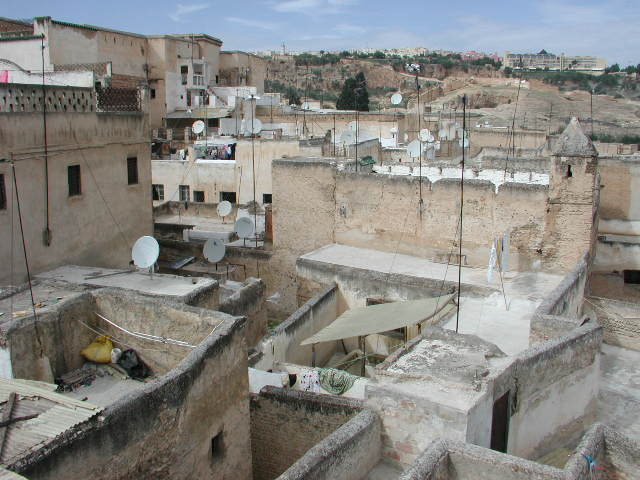 One of the finest views in Fes: mountains, the medina, 14th century Merinid tombs, the medieval walls of the city, and of course, thousands of satellite dishes! A very pleasant place to spend an evening with a bottle of excellent wine from Meknes. Please note that because Dar Bennis is built on several levels, it would not be appropriate for someone with difficulty going up and down stairs. In such a case, we'd be more than happy to suggest another traditional house or riad in Fes that would better meet your needs.